Most of the time, the raceway at Sonoma hosts the newest, fastest NASCARs, but once a year the racers of yesteryear get their day. All kinds of vintage participate, including Formula One racers, stock-produced sports cars, and even tiny classic Sunbeams. The Historic Motorsports Festival is an annual event that features some 300 vintage racing cars, dating back to the early 1900s. Practice happens on Saturday morning, qualifiers Saturday afternoon and Sunday morning, and the main racing events take place on Sunday afternoon. The races take place at the Sonoma Raceway which is about 30 miles north of San Francisco. An associated Vintage Car Festival is held in downtown Sonoma on Saturday evening. To make the event even more fun for those who love classic cars, the paddock is open to the public, where you can get a close-up look at the machinery, watch the drivers prepare to race and talk to some of the owners. An additional treat is the food pavilion, serving wine- and food-tastings, which are included in the admission price. This vintage car race is popular with anyone who likes the classic vehicles that participate. Vintage does not mean old and quiet, and the engines' roar can border on deafening. No matter how much you love these classic beauties, don't go if you're sensitive to noise. If you really want to see them and can't take the noise, you could try earplugs, but they may not be enough to block all the sound. We rate the Historic Motorsports Festival 5 stars out of 5 for anyone who loves classic cars and racing. It was one of my most surprisingly fun days out ever. The track is a 12-turn, 2.22-mile road racecourse that hosts all kind of racing events, including very large NASCAR races. It's a 900-acre facility with several grandstands and wine country views so beautiful that you could easily get lost in them and forget to watch the race. The Historic Motorsports Festival draws a small crowd relative to the size of the facility, and you can easily roam around and watch from different spots, including seats that are right behind the start/finish line. The food pavilion gets crowded at lunch time, but not unbearably so. How long you'll be here depends on how many races you watch. We spent about 5 hours, watching a couple of races, getting something to eat, and viewing the cars in the paddock. The track is in full sun and can be windy. Bring a hat that will stay on, sunglasses, sunscreen and an extra jacket in case it's cloudy. Bring water. The sun will make you thirstier than you might expect and it's expensive on site. The main grandstand seats to the left of the starter are good for seeing the track and the cars as they line up. But the best scenic views are from the grandstand above the first turns. We enjoyed walking around the track and watching from different spots. The Historic Motorsports Festival is held annually in May or early June. 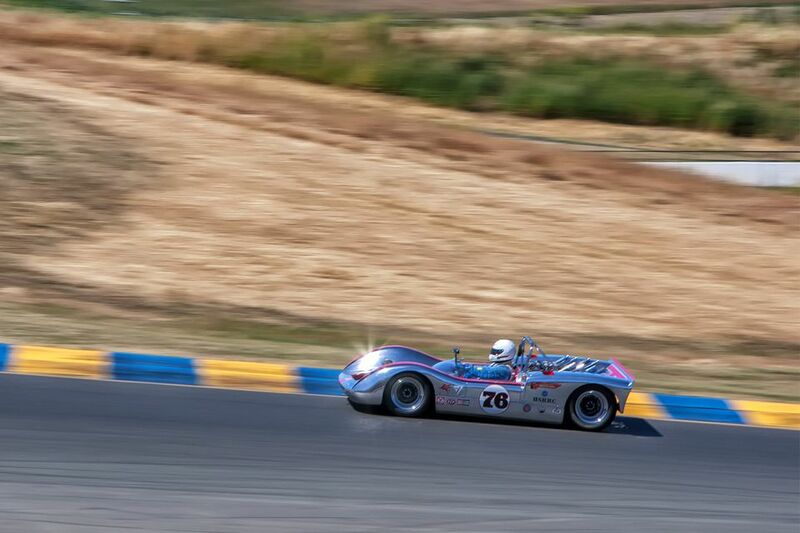 You can get more information about this year's festival, including dates and tickets at the Sonoma Historic Motorsports Festival website. Advance tickets are available, but you can easily get in on the day of the race without reservations. Parking is free. The Raceway is located north of San Francisco, near the intersection of Highways 121 and 37. While a big NASCAR event can snarl traffic for miles around that intersection, the Historic Motorsports Festival does not generate traffic jams. As is common in the travel industry, the writer was provided with complimentary admission for the purpose of reviewing this event. While it has not influenced this review, About.com believes in full disclosure of all potential conflicts of interest.